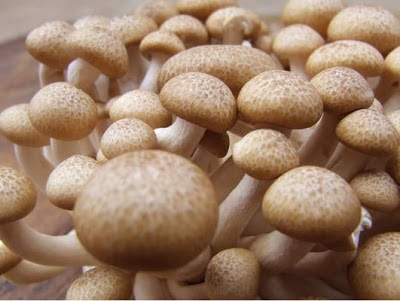 Mushrooms are easy to grow and dont take too much effort to get started, you can buy growing kits to make life simple. You can even try growing some of the more exotic varieties in logs, but you do need to be patient. Unlike fruit and vegetables mushrooms are not a plant and so they don’t grow from seed. You will need to purchase a dedicated growing kit. Typically most people start by buying mushroom growing spawn, which are usually sold as plugs that are impregnated with spore that can be put into pre-drilled holes in logs. The other way to start is by using mushroom patches, which like the spawn contains mushroom spores but this time they are mixed with grain and can be used in soil or pots in the garden. They are simpler but are generally not as successful). Ready-to-grow kits are probably the easiest way to get started. You can simply spread the sterilised grain over a container of compost. Then water the container and place it in a sheltered, spot with low light levels outdoors. Such a growing kit should produce three crops of mushrooms totalling about 1kg. You can then compost what’s left and may be lucky enough to get another crop.